With Spring on the way, it’s a great time to get out local for lunch. Food truck season is back in swing offering a full bouquet of flavors all over the city. A great one-stop shop is Asheville Food Park & Market at the corner of Amboy Road and State Street in the River Arts District. This culinary and craft bazaar across from Carrier Park features breakfast, lunch and dinner food truck alongside pop up boutiques; clothing, artists, yard art & sculptures and more. Another option is The Lot on 51 Coxe Ave. where there is always something good. Don’t forget about dessert. 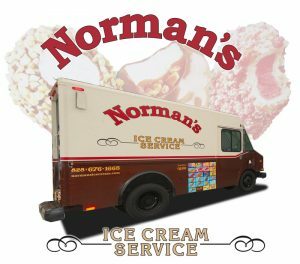 There is the ole’ timey Norman’s Ice Creek Service, the way ice cream trucks use to be. They do private events and you may even spot them around the parks. You don’t want to miss the 4th Annual Asheville Food Truck Showdown on March 25th from 11-7 at the WNC Agricultural Center. 17 trucks will be in one spot for you to sample and to vote for your favorite. There will be music, rock climbing wall, and child friendly fun for the family. Until then, you can catch a handful of food trucks while perusing downtown at dinner time. Whether it’s a quick bite between brewery tours, an adventurous lunch outing or romantic Pack Square picnic that you’re after, you can get details on all Asheville food trucks have to offer at Asheville FoodTrucks. If you’d like to learn more about hiring food trucks to cater your next event, dig into this article How Many Food Trucks to Hire?-Useful Tips! written by Eric W. at FoodTrucksIn.com. ENJOY! and let us know who your favorite is by posting on our FACEBOOK page.